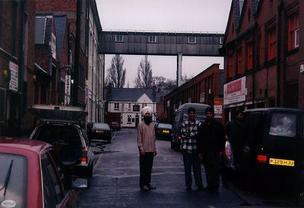 I decided to take part in the project because I lived in Highfields at the most important time of my life. I look back on Highfields in the years 1948-1949 when I was 8 years old, when taken away from my parents who were ill with tuberculosis. 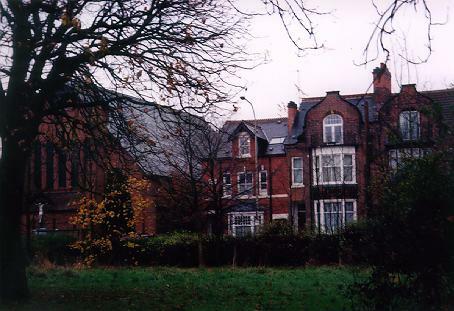 The Receiving Home on Mill Lane was a traumatic experience, as was the Girls' Home at East Park Road. 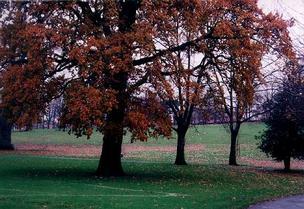 The Highfields area was itself a nice area to live, although some of the big houses were bombed during the war. We played on the ruins in Upper Tichbourne Street, on route from one home to the other in Mill Lane. 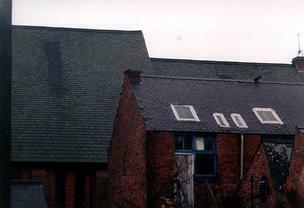 Our church was St Stephens, the vicar was Father Huntley, we attended every Sunday. 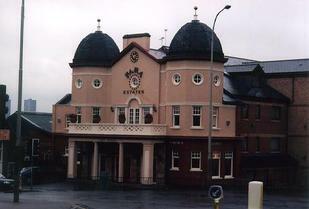 We also regularly attended the Evington Cinema, whose manager Mr Bowman was charitable to us Home children. Our schools were Moat Road and Bridge Road Girls School, our motto Be Ready for Gracious Services. Our doctor lived on Evington Road, as did the dentist. In 1949 I left school and some of the time lived in Eggington Street, near Spinney Hill Park. In 1953 I was married at St Peters Church by Canon Collins, and went to live in Saxby Street. Taking part in this project was a positive experience for me, helping me to relive, and revisit my memorable youth, and the important days of my life, with the very knowledgeable help of Barbara Hind, for which I thank her. 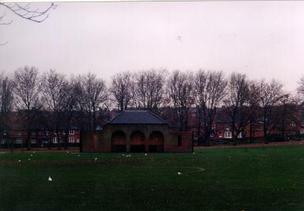 The pavillion in Spinney Hill Park was opposite the Girls Home, and was noted for courting couples. We sometimes played in the Park on our way home from the pictures. The memorial to the first World War dead. 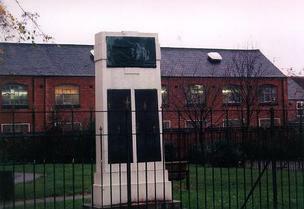 This monument stood in front of Bridge Road School. On the 11th day of the 11th month, our school had a ceremony placing poppies at the memorial. All the people passing by - Bakers in their vans etc - stopped, took of their caps and stood for for 2 minutes with everybody. This is London Street today - The pub at the bottom, the Rifle Butts, was the pub my Dad and Grandad went into after telling us that our Mother had Passed away. I joined the Salvation Army Guards, and this is where we would practice marching up and down with drums, bugles etc, [where no one could hear us] practising for parades. The street had factories on either side of it some of which were closed during the war. This is the munitions factory at the bottom of the garden at the home [ East Park Road ]. Our air raid shelter was built just underneath the wall. The side of St Stephens Chuch is in the background, we attended St Stephens every Sunday. The central path at Spinney Hill Park where all the school children stood with flags, waving to the King and Queen on a royal visit to Imperial Typwriters. I held a flag at the main gate of the park, for the Salvation Army, and the King saluted my flag. 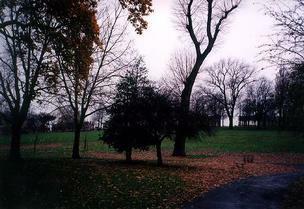 Spinney Hill Park and the steep hill used for tobogganing in the winter. Hundreds of children slid down the steep hill on bits of sacking or anything, and sometimes ended up crashing into the trees at the bottom. The ambulance did have to take some away. 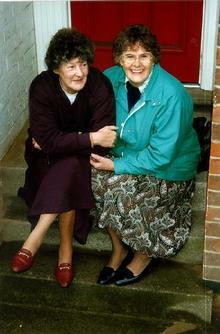 Hazel Jacques , on the right, and her sister. 1997. 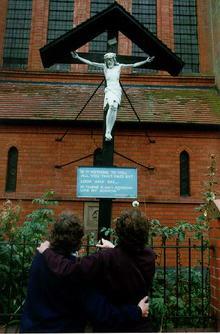 The awe inspiring crucifix outside St Stephens Church. It was often painted, even to the drops of blood trickling down the crucifix. 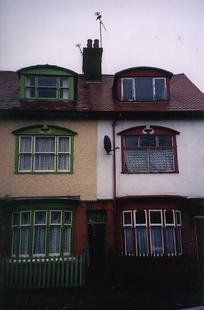 The house on the left caused havoc when it had a chimney fire in 1944. The fireman arrived and poured water down the chimney and the chimney pot fell into the garden. Crowds always gathered at such a sight and we were on our way home from school and joined the crowds. The owners were fined 2s.10d. The same house today with washing drying in the entry, just as it did in the 1940 s.
No: 52 Saxby Street where we lived in 1953, after being married at St Peters Church. 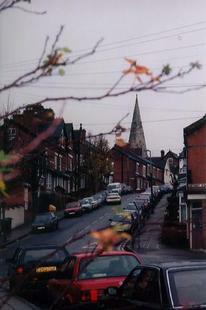 A view of Wood Hill, which leads up to the Sacred Heart Church. The catholic girls from the home attended here and at Corpus Christi. At confirmation, a long procession went round the streets, all the children in white dresses and veils, included three sisters from the girls home. We were taken to watch the procession. 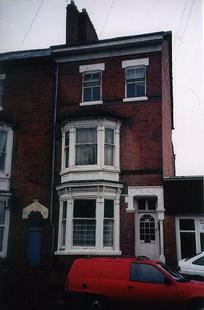 This is the Recieving Home, Mill Lane, Leicester. A terrible frightening place for children who were just taken away from their parents. We arrived one week before Christmas. We were kept in the dayroom, which had bars on the windows, for 2 1/2 months. 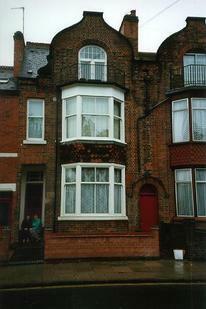 This is the Girls Home, 170 East Park Road, where all the girls ended up - we stayed here 1942 - 1949. 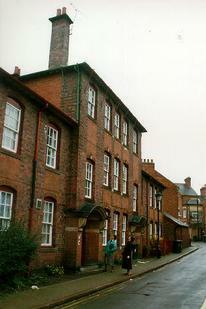 Not allowed out after school, which was Bridge Road and Moat Road Schools. 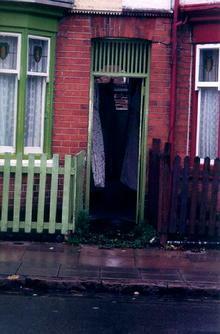 The side entry was always used, and the Coalman delivered coal to the cellar through a trap door in the entry. This used to be the Evington Cinema, where we attended the 'Threepenny Rush' on a Saturday afternoon. After doing our various jobs in the home we were sometimes late, and the Manager, Mr Bowerman, kindly let us in for free when he knew we belonged to a 'Home', so we would still have our three pennies pocket money to spend. The view of the Girls Home and St Stephens Church. I was sent to bed for being on the park after school with a boy who wanted to show me a birds nest. I was at this spot, and the assistant foster mother saw me from the window.